According the Association of Certified Fraud Examiners, the typical business organization loses about 5% of it’s revenue each year to theft, fraud, and embezzlement. Think about that for a moment, lost revenue, which is seldom discovered, accounting for $5,000 for every $100,000 you earn. As fleet managers, your biggest advantage to the company is knowing how to save money by employing the right people, getting the most for each trip, and placing cost control measures in place. However, spotting ways of how you might be losing money to theft, fraud, and embezzlement may not be top on your list but a simple change in spend methods could save you thousands. If you’re still using onsite fueling, or employ a mobile fueling service, how are the gallons calculated? What about using a credit card? Does your credit card break down the gallons and type of fuel used? Certainly, each purchasing method will employ safeguards but how do you confirm the data to give you an accurate reporting of the gallons purchased. 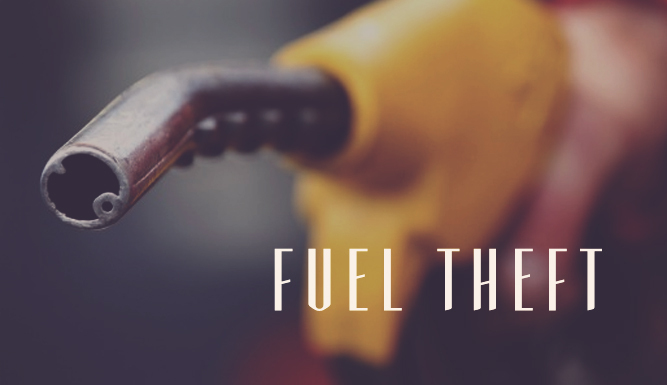 Fuel is one area that the numbers can be easily manipulated and used by sources other than your fleet. If you haven’t done an audit in the last year, then it’s time to get busy. At a minimum, track your invoices over the last six months. You’ll need to get the odometer or hubometer reading on each fill up, as well as know who performed the fueling, time of day, day of the week, and total gallons. Do you have a seasonal business, added or changed a unit to your fleet, or purchased a less fuel-efficient model? These questions may help you understand why your numbers may fluctuate. The bottom line becomes understanding what your true MPG is for each unit, driver, and route. Any major deviations should be suspicious. If you discover a discrepancy, simply conduct an experiment to find the source. Trade out a diesel for a gas unit, monitor the fuel levels of each run for a suspected driver, or measure each time a bulk fill up is taking place. However, discovering the problem is only a problem half solved. Since using such information as evidence may be difficult to substantiate termination, you must document your findings and identify with the suspected offender. Employee and vendor policies must be in place, and adherence to workplace rules are an absolute. Always consult with your human resources manager, or the company’s attorney, before making any allegations. The most secure method to fueling is employing the use of fleet fuel cards, which provide the necessary safeguards by placing the fueling security in the hands of the driver. This allows the fuel manager to retrieve the fueling data; such as mileage, fuel type, employee id, unit number, fueling location, time of day, day of week, gallons, and price per gallon all in one easy to read exportable spreadsheet. Credit cards, mobile fueling, bulk tanks, and onsite fueling fail to provide this data and make it difficult to account for each gallon purchased.